staff would love a chance to meet you and to take care of your pet. Area neighbors seeking quality veterinary care for their dogs, cats, exotic and pocket pets should consider Toledo veterinarian, Dr. Alan Moore. Trilby Animal Hospital, which Dr. Moore purchased more than 25 years ago, has served area pets for over 50 years. Our clinic offers full-service, one-stop skilled pet care, blended with compassion and a deep love of all animals, great and small. 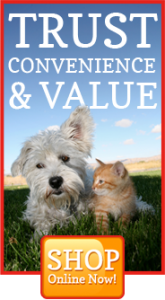 Dr. Moore, and their entire professional team welcome all types of pets, including birds, reptiles, ferrets, rabbits, and most small mammals, along with dogs, cats, exotic and pocket pets. 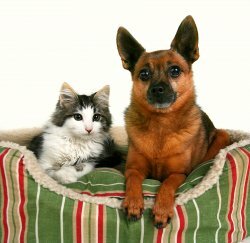 We are experienced treating all of your animal family members. Our experience, training and knowledge allows us to offer you treatment options beyond well care. Our mission is keeping your pet healthy and out of harm's way for disease, injury and chronic conditions. We are trained to offer you more advanced services to complete that mission. To further display our commitment to area animals, our clinic offers discounted services through the Toledo Humane Society, Planned Pethood (including pet spay and neuter procedures), and various local rescue groups equally concerned with animal welfare. Ask us for more information. Pet surgery services include soft tissue and orthopedic procedures. Advances in pet orthopedics allow us to better treat these problems to help your animal family member recover faster and more comfortably from injuries. Our professionals offer high quality pet dental care. Too often overlooked by even veteran pet owners, regular pet dental care, including teeth cleaning, extractions, oral surgery, plaque and tarter removal, and well care to avoid periodontal disease, also prevents future, more serious problems, including liver, kidney and heart illnesses. Cutting edge pet therapy laser treatments can benefit your animal in various ways. A non-invasive, natural healing technology, pet therapy laser systems can help to avoid pet surgery, deliver long-term pain relief, aid pet orthopedics rehabilitation programs, and provide pets with post-surgical pain management. Our Toledo-based veterinary team also offers quality pet dermatology care. Much like pet dental issues, skin problems can come from or lead to other more serious health conditions. For example, pet dermatology problems are typically only symptoms of root causes, such as food allergies, parasite infestation or bacteria. Since our pets cannot describe their symptoms or pain, veterinary diagnostics is challenging. We have an in-house laboratory to speed blood analysis, eye diagnostics and identifying other problem areas. We are committed to keeping our area animals, including exotic and pocket pets, healthy, happy, pain-free, and comfortable. A skilled, experienced veterinarian, Dr. Moore has made our animal hospital a community pet resource. From superior pet surgery procedures to pet dental care services to keeping your exotic and pocket pets just as healthy and disease-free as your dog and cat family members, we are here for you. Call us 419-474-5403 to learn more or schedule an appointment for your treasured pet at the animal clinic that has been helping area pets for over 50 years.